Aaron's obsession with coffee started somewhat slowly. 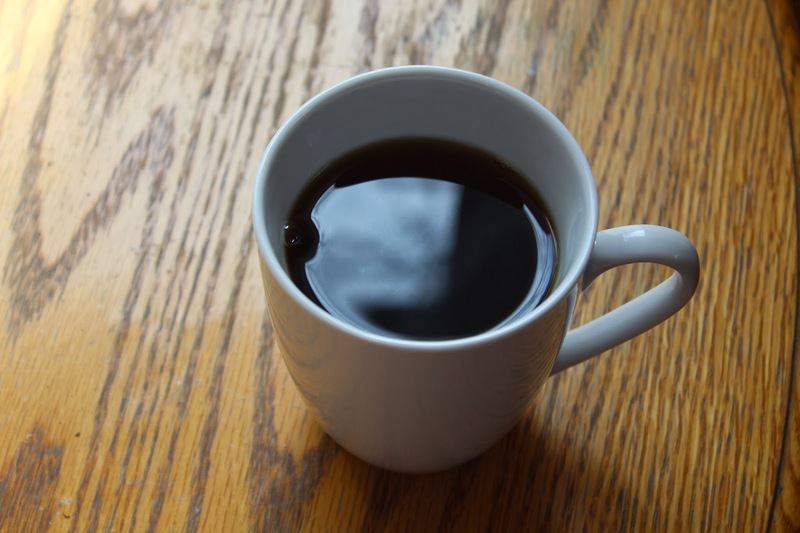 He's been addicted to drinking it for years, but for quite a long time, he was not super picky about what type of coffee he was drinking, as long as he was drinking it. It was really only after we moved to Korea that Aaron became interested in good coffee. One thing that fueled Aaron's interest in coffee (and started to bring me from a coffee hater to someone who thinks coffee is pretty neat) was when we began to travel. The obsession really started when we started frequenting Stay with Coffee on Jeju Island. Stay with Coffee is a magical place where the foam on top of lattes is impossibly thick and luxurious, where giant beautiful glass orbs brew cold dutch coffee all day, where the coffee beans are roasted locally, and it is all owned by the most eccentric genius coffee connoisseur I have ever met. It's here that Aaron started drinking black coffee and paying closer attention to methods of making coffee. 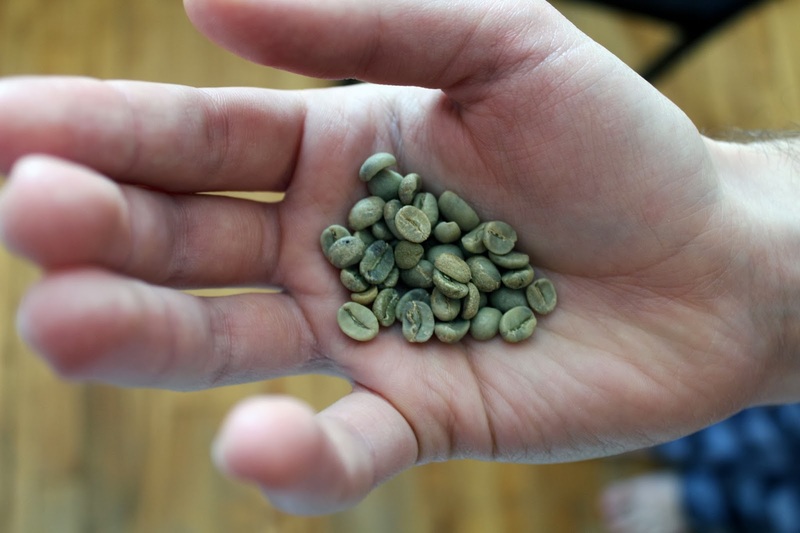 After a few months, he bought a hand grinder and pour over coffee set from Stay with Coffee. Shortly after, we traveled to Australia on one of our breaks. 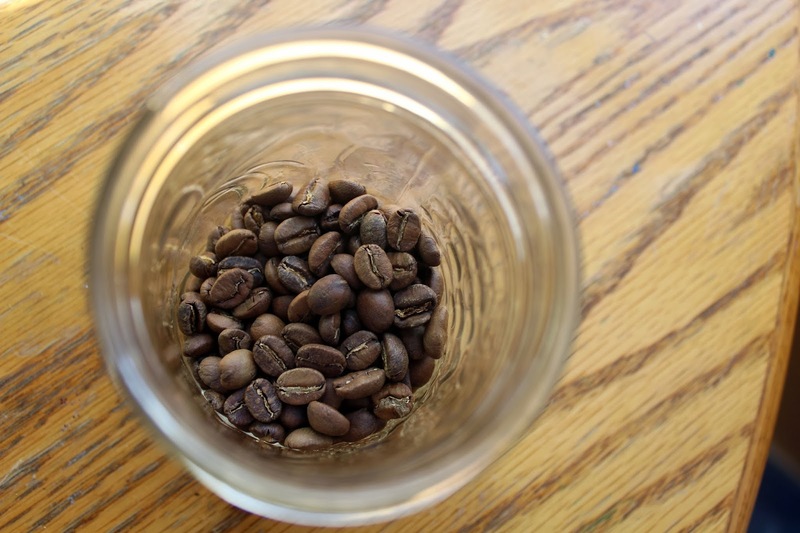 Australia has a major coffee culture, and arguably some of the best coffee in the world. Aaron bought a beautiful book while we were there, called The Art and Craft of Coffee. This book got Aaron interested in roasting coffee at home. We moved back to Halifax in June. Since then, we have slowly been sampling all of the locally roasted coffee that Aaron can get his hands on, and there are some amazing options out there. We are big fans of Anchored Coffee, Laughing Whale, and North Mountain Coffee. These coffees are so amazing and Aaron has become so good at making coffee, it's unreal. I have never been a huge fan of coffee; in fact, I have no idea how to even make coffee. I had never really liked it. But drinking espressos in a cafe in Paris, cafes con leches in Madrid, cappuccinos in Florence starts to make an positive impression on you. I fell in love with lattes in Seoul, Cafe Saigons in Jeju, sweet iced coffees in Bangkok, and anything and everything coffee in Melbourne. And now, I can drink the pour overs Aaron makes black. I'm a convert. 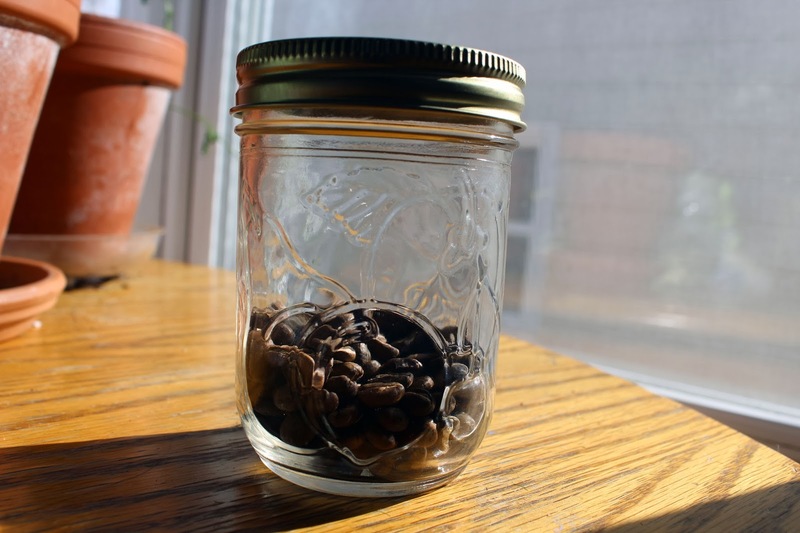 Recently, Aaron finally decided to dabble in roasting his own coffee, after it had been on his mind for months. 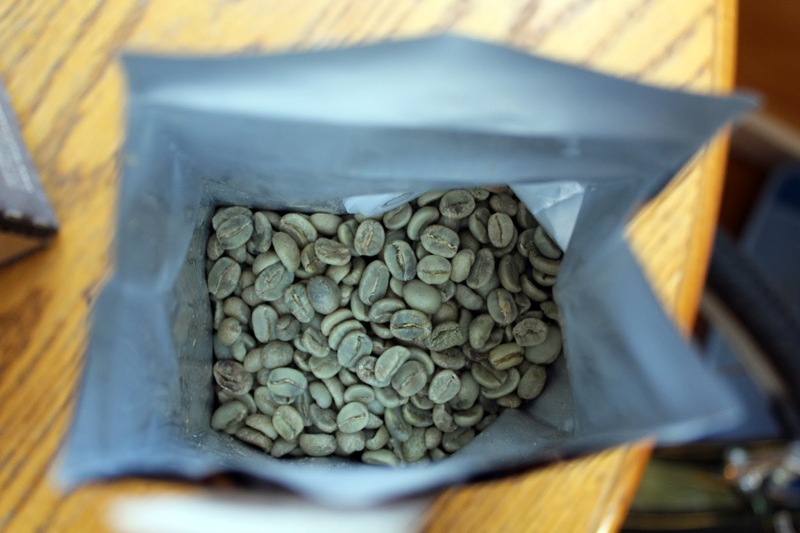 He researched where he could buy green coffee beans, and he ended up ordering seven pounds of fair trade organic Guatemalan green coffee beans from Buy Coffee Canada. He roasts the beans in an air popper, and our whole apartment has smelled like coffee since this grand experiment started. It has taken a few batches for Aaron to really figure out a good amount of time to let it roast and how to make sure it is an even roast, but it's well worth it. Drinking coffee that has been roasted the day before is such a luxury.